"...Immaculately recorded (unlike some similar collections) and grouped by style, location and tempo. The range and subtlety of the CD is faultless, and finding a sample is easy enough (thanks to the straightforward tempo and style listings)....You won't find a better collection of ethnic sounds anywhere else. " "The geographical breadth of styles and influences is astonishing, and this two-CD set probably represents the most comprehensively usable, best-recorded collection of World Music samples I've had the pleasure to review so far." 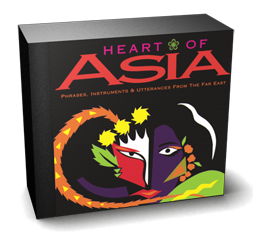 "Spans a wide area, ranging from China and India, to the Middle East; this revolutionary title covers instrumental and non-instrumental sounds from most countries in the continent. ....Provides a treasure chest of musical phrases....Sonic details are captured in absolute hi-fi...no noise whatsoever."